Working on a team makes for the best discoveries in science, and we at the HYPNO and NorAmph artsprojects know it well, especially after we stumbled upon a large number of the elusive mud jellyfish Tesserogastria musculosa in one of our joint sampling trips to Raunefjord (you can read Christine’s account of our sampling here, in Norwegian). 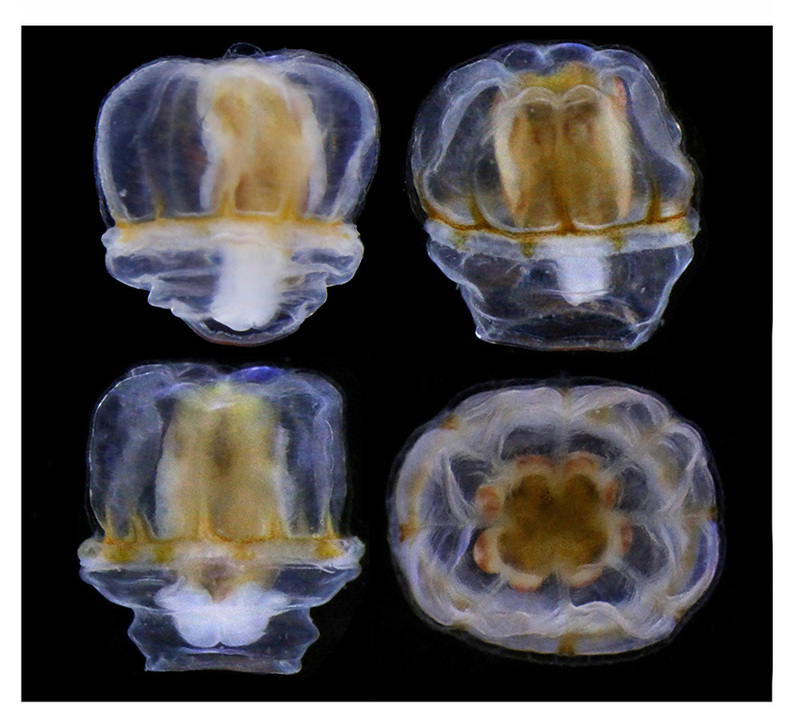 Mud jellyfish can be very abundant, but they are also easily overlooked, and only a gentle way of collecting animals will reveal its presence on a benthic sample. 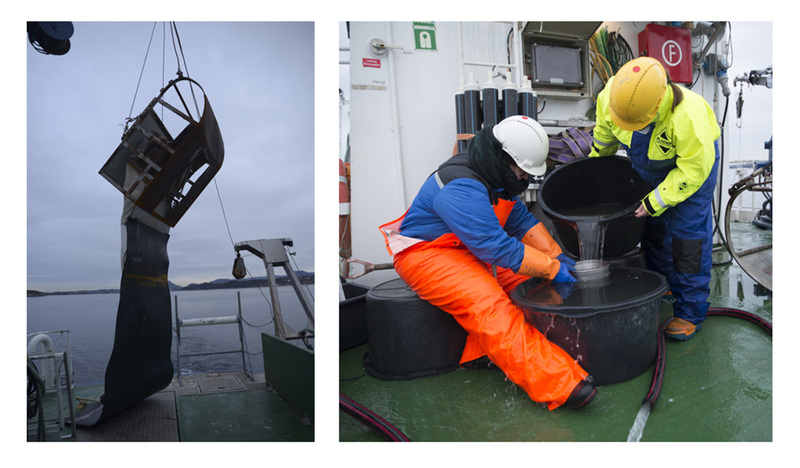 These hard-to-catch benthic jellyfish are so fragile that many previous surveys of the bottom of the fjords may have missed them because the jellies were simply too damaged to be identified at any level, but thanks to the careful processing of the samples and an expert eye we were able to obtain living specimens in good shape. This finding led to the evaluation of all the records of the species in the world, obtaining the first genetic data (including the DNA-barcode) for the species and genus, and finally to a redescription and a joint publication (available here: https://link.springer.com/article/10.1186/s10152-018-0515-5). 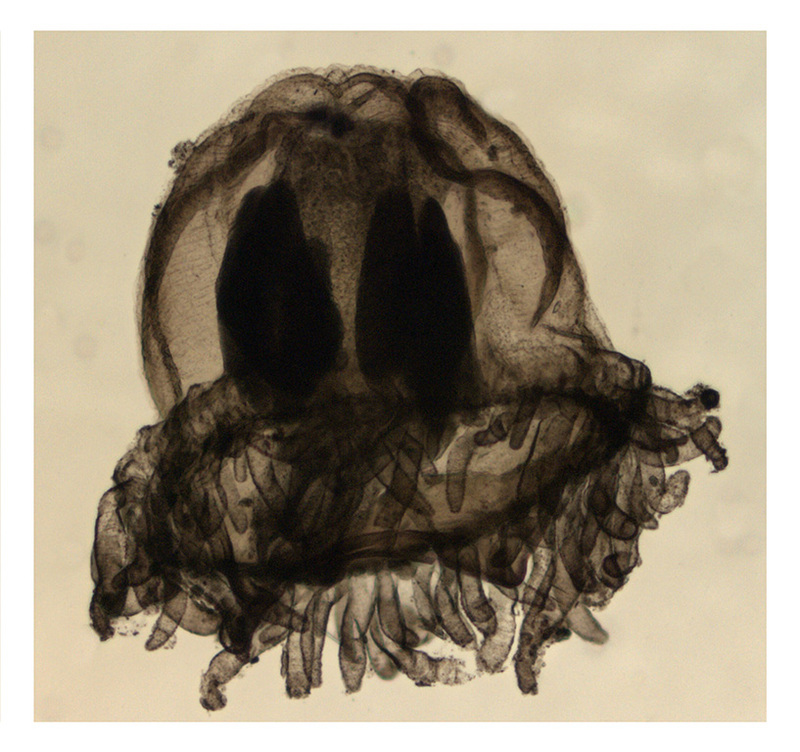 Mud jellyfish are the only species in genus Tesserogastria, which takes its name from the square-shaped stomach of the animals (Tesserogastria comes from ancient Greek τέσσαρες “four, square” and Latin gaster “stomach”). The specific name musculosa (Latin for “muscular”) was given to them because they look quite sturdy, with extremely well developed muscles around the opening of the “bell”. They are not the typical free-swimming and pulsating jellyfish, as they prefer to live in muddy bottoms, where they use their tentacles to walk around (they really don’t like to swim) until finding a place to sit and wait for dinner (which is usually some small crustacean). We still don’t know many things about this species because mud jellyfish are tiny and live on the bottom of the sea far away from the surface, but now that a new population has been discovered in Western Norway we will have the opportunity to investigate more on its behavior and body structure, perhaps answering some questions such as why do these jellies need very strong bell muscles if they don’t swim very often, or how the species is related to the other crawling jellyfish species from the North Atlantic. This entry was posted in Current projects, HYPNO, NorBOL, Norwegian Taxonomy Initiative, Photography, Student Projects on July 5, 2018 by katrine.